Justin Trudeau’s swipe at Conservatives over issues surrounding gender may have been an attempt to distract from problems his government is facing, an attempt to change the channel, but they still deserve scrutiny. Our self-described feminist prime minister was at a conference in Toronto on Monday and told the audience that he believes in gender equality and the Conservatives just don’t get it. 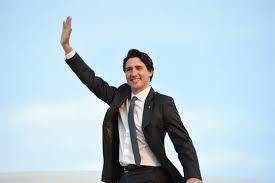 When I started speaking about this on my radio show, it prompted Conservative strategist Michelle Austin to call in and set the record straight on Trudeau’s record, such as paying women less than men which I wrote about here, but also to say the real issue is not this side distraction but Trudeau’s attack on small business with the tax changes. Austin is right, that is the bigger issue and Trudeau wants to pivot to a fight on gender because he is on comfortable ground, ground most in the media won’t challenge him on, see the Canadian Press article on his comments to see what I mean. Still, none of that means his gender comments should get a pass. Trudeau was speaking about Conservative criticism of his government’s priorities in the NAFTA renegotiations. While the Trump administration has made it clear they want access for American businesses into several key Canadian business “improving market access in Canada and Mexico for U.S. manufacturing, agriculture, and services;” Trudeau and company released a list of goals that were focused on the environment, indigenous issues and gender. None of those improve market access for Canadian exporters which is the point the Conservatives have been making. But there was Trudeau in Toronto acting like the Conservatives hated women. “The pushback we’re getting is actually not from south of the border, the pushback we’re getting is from Canadian Conservatives, who said ‘Oh no this is about economics, it’s about jobs … it’s not about rhetorical flourishes of being good on environment or being good on gender,’” Trudeau said. It’s a false argument but that is what Trudeau specializes in, not facts but rhetorical flourishes that sound good on TV and that no one has to think about. Are the Conservatives saying we don’t need to talk about these issues, in particular gender, in the NAFTA talks? No, in fact, speaking on CTV’s Question Period last weekend, the Conservative critic on foreign affairs Erin O’Toole said it was fine to discuss those issues, but getting better treatment for Canadian business to keep or expand their ability to sell products to the US and Mexico, and thus create jobs, should be the main priority. Trudeau and his cabinet ministers keep saying they can focus on their issues and help grow jobs and the economy but so far they haven’t, it has been side issues all the way. One thing they keep pointing to is the recently amended free trade agreement with Chile which added a chapter on gender. The Liberals say this is the template for future deals. Unlike most, I’ve read that chapter and it offers a lot of rhetorical flourishes as Trudeau would describe it, but there is no teeth to it. The chapter on gender calls on both Canada and Chile to do more for women in the economy. Okay, but what does that mean? Well here are some examples of what is called for in the agreement. None of those ideas are bad ideas, not at all. But will it have an impact on how each country operates? Well the agreement calls for committees and meetings and reports but if one country or the other starts enacting sexist policies, saying mandating that women are paid half the wage of men, well, too bad so sad. The agreement is clear, while the page and half on gender makes a lot of nice claims but makes it clear, nothing regarding gender can go to the dispute resolution process. A Party shall not avail itself of the dispute resolution mechanism provided for in Chapter N (Institutional Arrangements and Dispute Settlement Procedures) with respect to any matter arising under this Chapter. And beyond that, the agreement further points out that the chapter on gender is subservient to other chapters, like the one on labour. In the event of any inconsistency between this Chapter and the Agreement on Labour Cooperation or its successor, the Agreement on Labour Cooperation or its successor shall prevail to the extent of the inconsistency. So once again, Trudeau is talking a good game but delivering nothing. If we do get an agreement on gender in NAFTA it will likely be as meaningless as the Chile agreement, so how does that help women? Meanwhile, female entrepreneurs across the country are anxiously waiting to see what Trudeau and his team will do to make it easier for them to sell into our biggest market. The rhetorical flourishes Trudeau talks about may have a nice ring to them but they don’t create jobs or put food on the table. Typically pathetic…..why are we not surprised.